Bangladesh shares a common past with India and Pakistan in respect of development of the business of banking. Historians try to trace the origin of banking to the Vedic age. The writings of Manu bear testimony to what can be called a crude from a banking business. The reference to the business of banking, albeit again of rudimentary form, could be found in the Katell’s “Arthoshastro”. These ‘banks’ were in fact family run enterprises. With the advent of Muslim rule in India the fortune hunting Afghan traders started money lending business in exchange of interest some time in 1312 A.D. They were know as “Kabuliawallas”. The banking business system at independence consisted of two branch offices of the former State Bank of Pakistan and seventeen large commercial banks, two of which were controlled by Bangladeshi interests and three by foreigners, other than west Pakistan. There were fourteen smaller commercial banks. Virtually all banking services were concentrated in urban areas. The newly independent government immediately designated the Dhaka Branch of the State Bank of Pakistan as the Central Bank and renamed it the Bangladesh Bank. The bank was responsible for regarding currency, controlling credit and monetary policy, and administering exchange control and the official foreign exchange reserves. The Bangladesh Government initially nationalized the entire domestic banking system and proceeded to reorganize and renamed the various banks. Foreign owned banks were permitted to continue doing business in Bangladesh. At the moment financial sector reform programs are underway. Private banks and insurance companies with few exceptions are functioning creditably. Bangladesh pursues a liberal market economy. Bangladesh Bank is the apex bank of the country responsible for promoting healthy growth and development of the banking system. Banks and insurance companies, both in the private and public sectors, are operating freely and contributing to the economy. Foreign banks like HSBC, SCB, City Bank etc. function in Bangladesh through their branches. • Processing of payments by way of telegraphic transfer, EFTPOS, internet banking or other means. 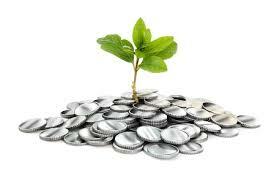 • Lending money by way of overdraft, installment, loan or otherwise. • Safekeeping of documents and other items in safe deposit boxes. Bangladesh Bank is a typical central bank of a third world country with a medley of tasks on its agenda. These agenda include not merely issuing notes and controlling supply of money but also the responsibility to act as the holder of gold and currency reserves, banker to the government, lender of the last report, supervisor of the banking system, overseer of national credit policy, promoter of credits to agricultural and other important socio-economic sector and administrator of exchange control. The Banking Companies act, 1991, has been the most important piece of legislation enacted in Bangladesh to define all aspects of operation of banking institutions and regulation of their activities by regulatory authorities. This important landmark was preceded by a medley of laws passed by the parliament and presidential Ordinances and Orders enacted or promulgate during the British and later Pakistan eras. In addition to the Banking Companies Act, 1991, Bangladesh Bank Order, 1972 also contains a few provisions about regulating some aspects of banking operation.